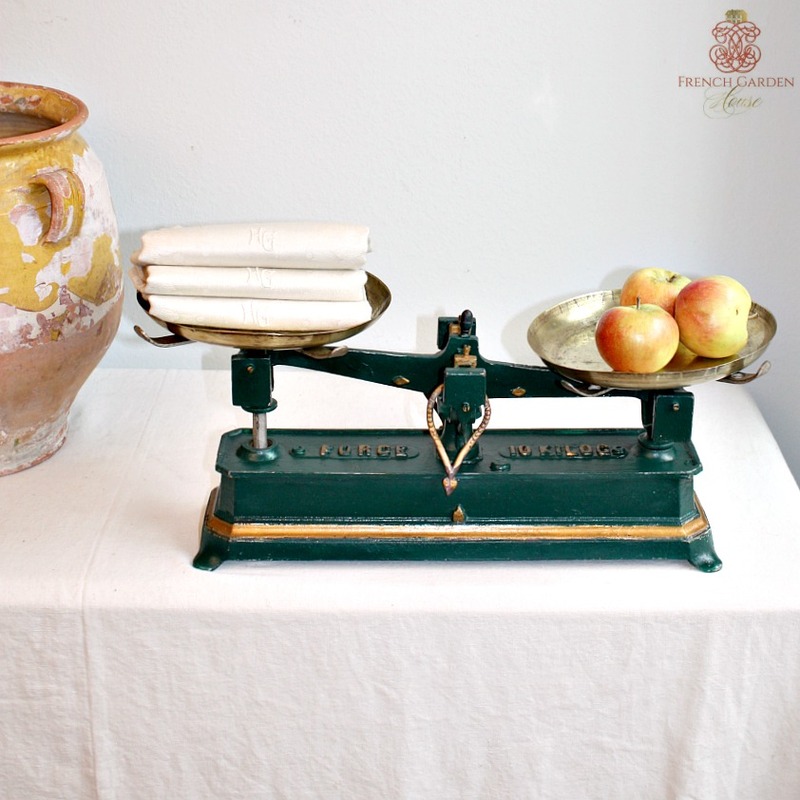 Wonderful and decorative 19th century French Balance Scale, scales of this type were used in shops for weighing produce. 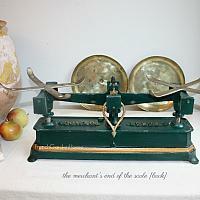 The scale is made of a painted cast iron base with the weight mechanism at the center. 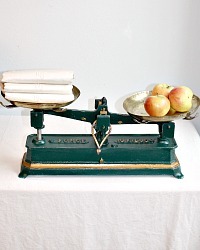 The arrow would have to be in the middle for the weight to be accurate, one brass plateau held the weights, the other the produce. 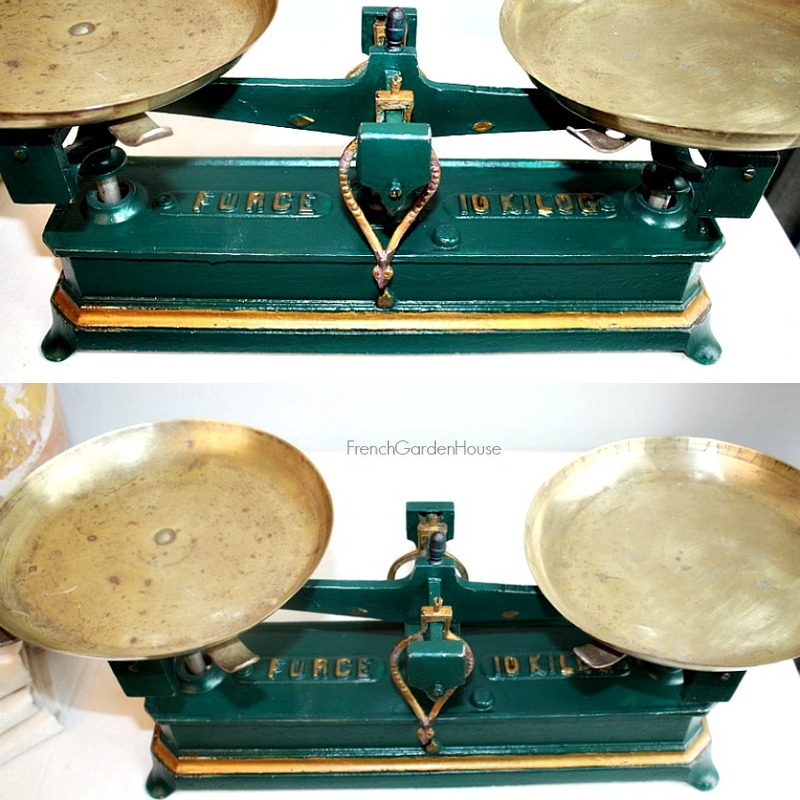 This shop scale has two arrows, one on each side, one for the merchant and the other for the client to see. 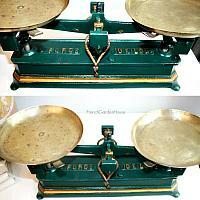 This scale has green and gold painted detailing, it is a 10 kilo scale and has the original brass weighing trays. 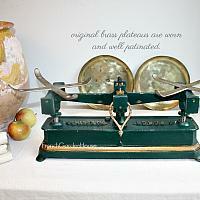 Originally used in the south of France, with great patina. 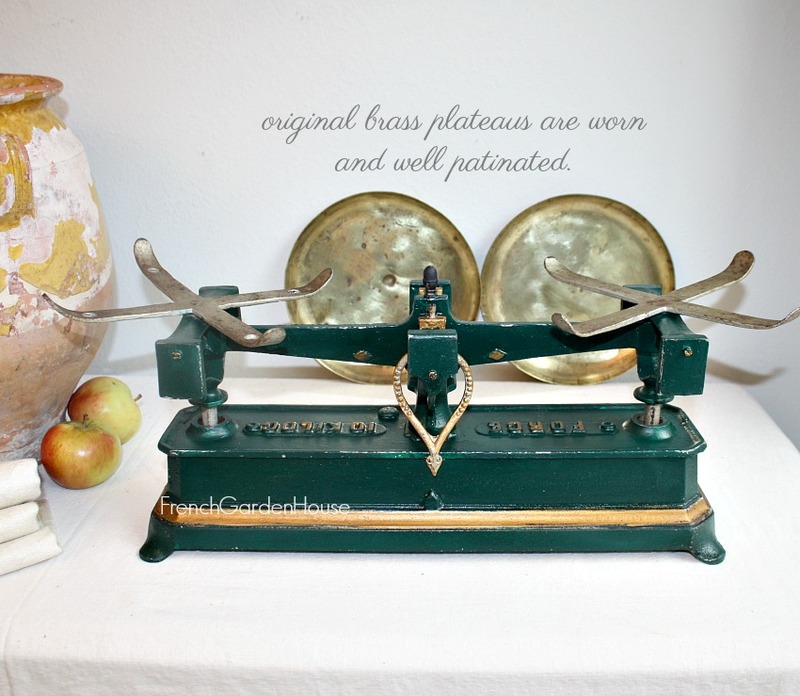 Display in your cuisine, with your other kitchen antiques, in any French Country setting, or to add a French antique to a contemporary home for personal style. A fantastic addition to your collection. Marked FORCE 10 KILO on the top. 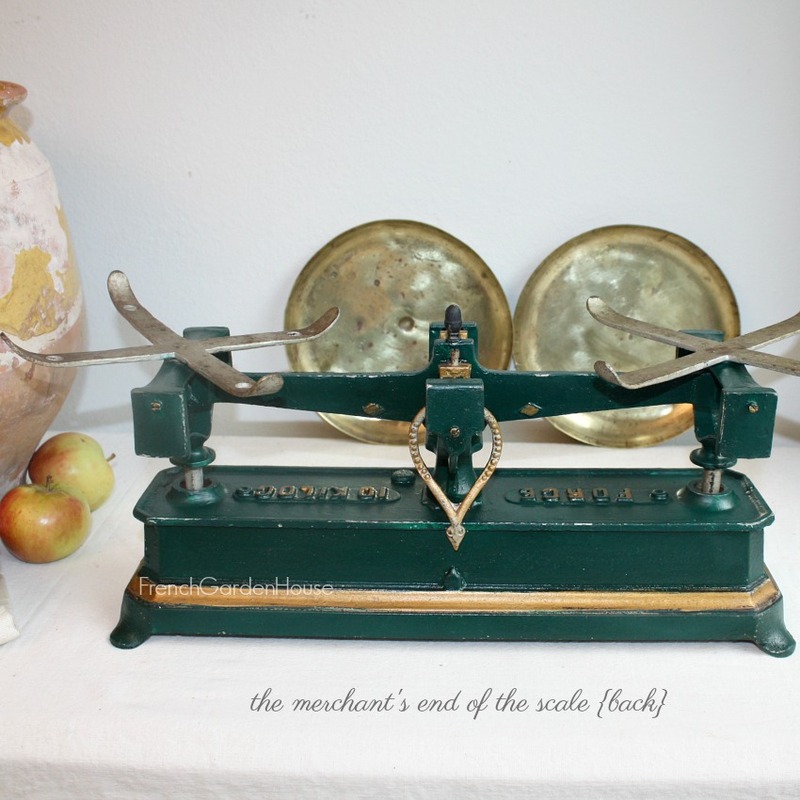 Measures 17" x 5" x 8-1/2"h.